I was daydreaming about some of the frames, tables, chairs and so on that I had floating in my mind. Concrete can be anything. Obviously work was a little slow, so my focus kind of wandered into other crazy ideas for concrete furniture. A while back, I checked out videos about logging and how to properly fell a tree because I was about to drop a tree at my co-workers place between two houses and an array of other obstacles. If you have a few minutes, check out the youtube video about California Redwood logging back in 1947. I was very impressed. National Geographic recently claimed that the Redwood forest has actually been expanding for the first time in a century – that is even more impressive. Anyway, it got me thinking about how well concrete and wood go together. All through my college education I was taught that concrete and steel were the match made in heaven. I must agree, but the combination of wood and concrete can be combined in a similar way. The wood should have a tensile strength of about 600psi and good development due to the porosity and concrete bonding. I will have to play around some more with concrete & wood designs and look into how to dry and mill some timber. If you have any experience or suggestions here, please let them be known. Update: I have really enjoyed working with wood in my furniture projects. I have come up with a lot more ideas and only wish that I had more time and resources to make them come alive. They will. Hey, I am glad you found me. 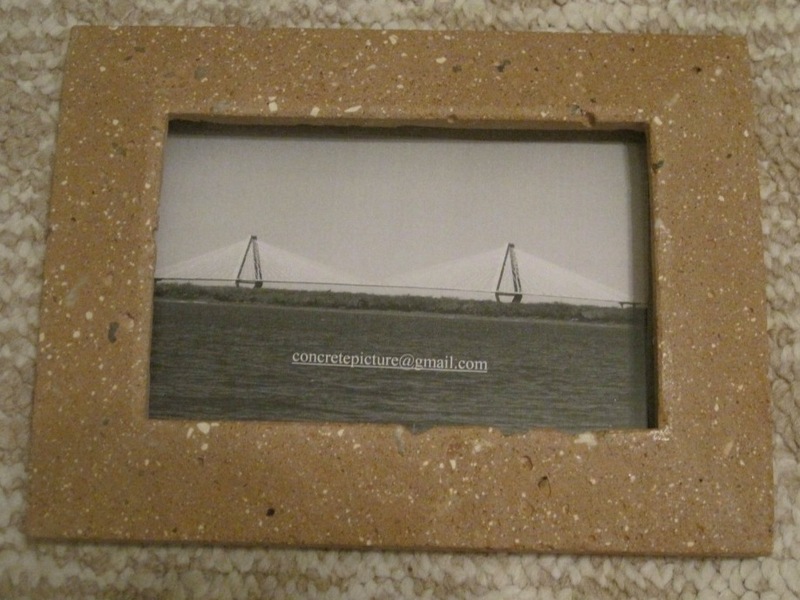 Frankly, I am a little surprised, but while you are here check out my concrete picture frames and concrete tables. I sell concrete art in person, checks, paypal, Etsy, even for a barrel of sunflower seeds – whichever method you prefer. All of my crazy creations come out of my tiny shop in Savannah Georgia and I have shipped items as far away as Hawaii.